The United States Air Force Academy, located just north of Colorado Springs, Colorado, is an undergraduate institution that awards the Bachelor of Science degree as part of its mission to educate, train, and inspire men and women to become officers of character, motivated to lead in the United States Air Force and in service to our nation. The student body consists of approximately 4,000 men and women representing every state and several foreign countries. 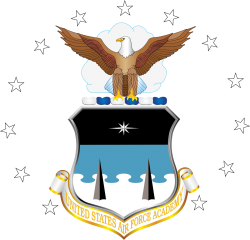 The Academy faculty is an integrated group of military and civilian educators. The curriculum includes core academic and professional courses, and 27 disciplinary and interdisciplinary majors.